Music, Poetry, Art have always been a connection among us. Their vibrations inspire, move, and carry healing energy into the far corners of the Soul, individually and collectively. To play with light and sound through art and music has always been delicious for me. And over the years, it has brought me deeper into connection with Divine Spirit, and over recent years, more fully with the Feminine Spirit of the Universe ~ the Heart and Womb of connection, creation, fire and passion. Like women who sew quilts with every stitch a prayer, I began these past several years to move into a place where every note, every moment, every breath became more sacred. And it was in this place that I could feel more intensely Her ferocious protection of all that is vulnerable and fragile, Her range of passion, fire and love, and Her aching Heart in the disconnection from innocence, beauty, gentleness. 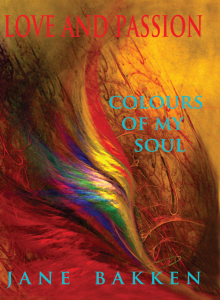 This collection of music, art and poetry has been a soul container for this journey. May it enrich your lives as well. $20 Includes Tax, S & H in US only. photos and Jane’s original artwork. 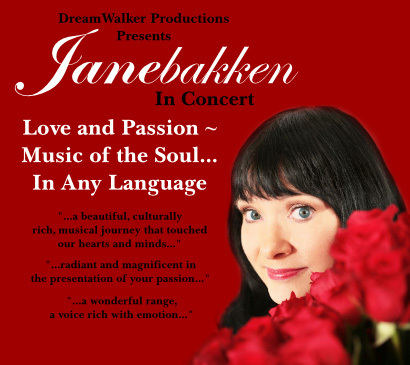 “….something about Jane’s voice…it is more than singing. 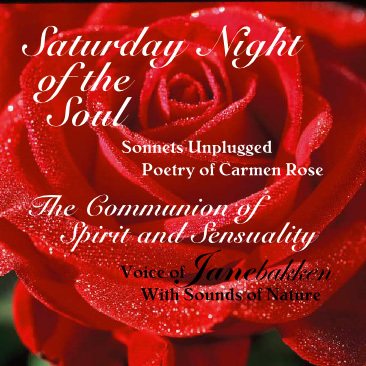 “Songs of the Heart: This is more than music. When I listen to this CD, I feel vibrations of love. Jane sings from her heart and easily reaches my heart. The album is professionally made- everything from the cover design to exceptional quality of recording flows together creating a unique experience which leaves you transformed. When I listen to Jane sing, I learn more about being real, about being alive.” ~Anna M.
“This is very lovely! It is both relaxing and stimulating. Congratulations on this whole project!! ~Judy G.
“I’m sorry it’s taken so long to get back to you regarding the fantastic album. We had a quiet Thanksgiving at home and that’s when we listened to it. We wanted to have time to sit and listen, we first put it on our small CD player but when we played it with our larger speakers, wow, what a difference…. your voice, beautiful, beautiful. The overall sound is great! …. We have our favorites, Sway, A kiss in the Dark, Once Upon a Dream and some of the others in different languages. Great job, you worked it. Congratulations and lots of luck with this album. Your artwork looks great too! 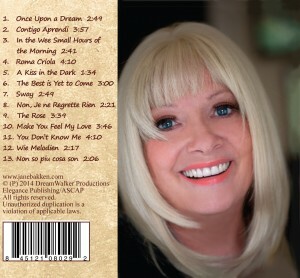 “I thoroughly enjoyed listening to your CD – you should be chuffed! What a labor of love, passion, and spirit! 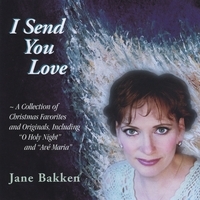 “Not sure what to expect, (never having met her in person), I put Jane’s Christmas CD, “I SEND YOU LOVE”, in to play. I turned around to go about my business, expecting to pay partial attention to the music in the background. Then this voice came out of the speakers, the voice of heaven, of love, of passion and caring all at once. I sat back down and listened to every note. I have very, very high standards when it comes to music. Not much passes muster. I have worked (briefly) in the biz, have a sister with a great voice and several albums to her credit, and have produced an album myself, and I care very much about great sound and voice and music. “Wow…your voice is like liquid gold…thank you so much for sharing your passion. love your voice! I can’t wait to own a signed copy of your CD! “It seems only fitting that this CD debut be at Christmas. The real-life analogies are many ~ the expectation, the preparation, the wise men and women, and their many gifts that have been a part of this soul birth. As we celebrate the birth of the Christ, and our love for one another, I send you this collection of originals and holiday favorites from my deepest soul. May its Spirit of Joy lift you this Christmas Season, and throughout the entire year! Recorded and Mixed at MSP Studios; Mike Strickland, Engineer ~ Recommend Highly! The Garey Shelton Studio; Garey Shelton, Engineer ~ Recommend Highly! Accompanying Musician Acknowledgments on CD Jacket ~ The finest musicians, all!